Location: We are located in the best and very beautiful area and historical district of San Lazaro, a historic district which is still preserves the traditional houses of Arequipa made of Sillar (stone extracted from the volcano). A place with a lot of tradition and history of Arequipa very quiet; far away from the noise of the cars, very safe to walk and closer to super market, stores, restaurants, bars, banks and only 5 blocks and 8 minute walk to the plaza. Excellent Location. 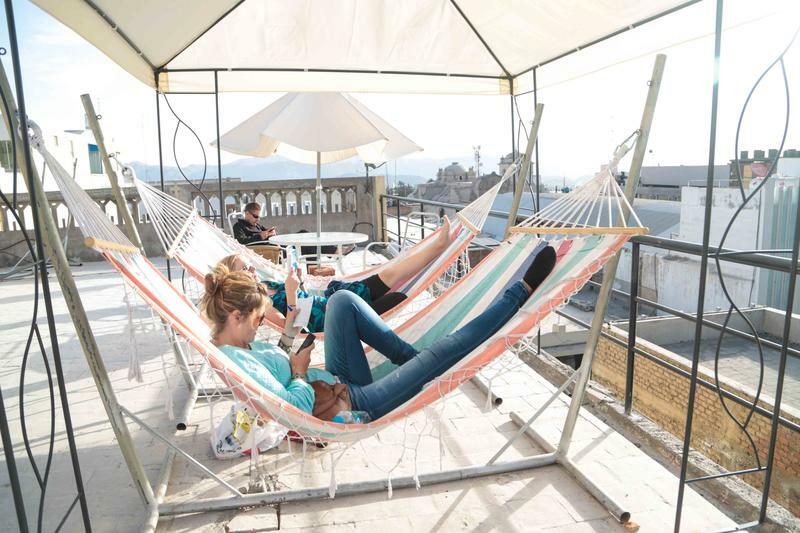 Facilities and common areas of the Hostel: We have 3 large common areas where you can rest and find another travelers and a large terrace with excellent views of the volcanoes and the city, with tables and chairs and sofa to take the big sun that is in Arequipa. You also can arrange outdoor barbecues, the kitchen is well equipped for your meals, 4 computers with free internet WI-FI in common areas and rooms, cable TV room and a large collection of DVD movies, small bar, but not noisy , pol table, book exchange one by one. Our Rooms and Bedrooms: Our single rooms, twin, double bed, triple bed and four family bed have private bathroom and hot water; the rooms are comfortable, spacious and pretty. All rooms have TV cable with very good quality. We have one dorm with 8 beds, each one have its own locker for your valuables. 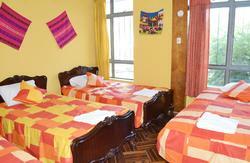 It is a clean and spacious dorm with comfortable mattresses. We also have another dorm with 4 single beds with lockers too. It is also spacious. 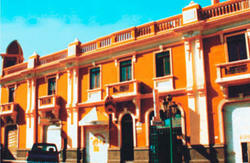 in the same little square, the Barrio de San Lazaro is a tourist place and everyone knows and so is easy to reach. If you get to the airport is just taking a taxi and the same as above, but the trajectory is 25 minutes and taxi cost is s/30.00 soles.